I am honored for the nomination. 1) I am a new blogger and still have no idea what I’m doing. 2)I have a standard Dachshund named Buddy. He runs the house. 4) I have met many amazing people. 5) My favorite color is yellow. 6) I LOVE ice cream. 7) I am a New York Giants, Islanders and Mets fan. Texas Ranger killed the political candidate/judge he was protecting so it seems. Excellent plot. Just the right amount of humor thrown in. Characters are well developed. Fans of Jack Reacher will love this book. Texas Ranger Sam Cable is the main character. A man in control of things wakes up in the wrong place with no idea how he got there. Coverup? Hate crime? All is not black and white thanks to a tenacious FBI agent. Page turner. 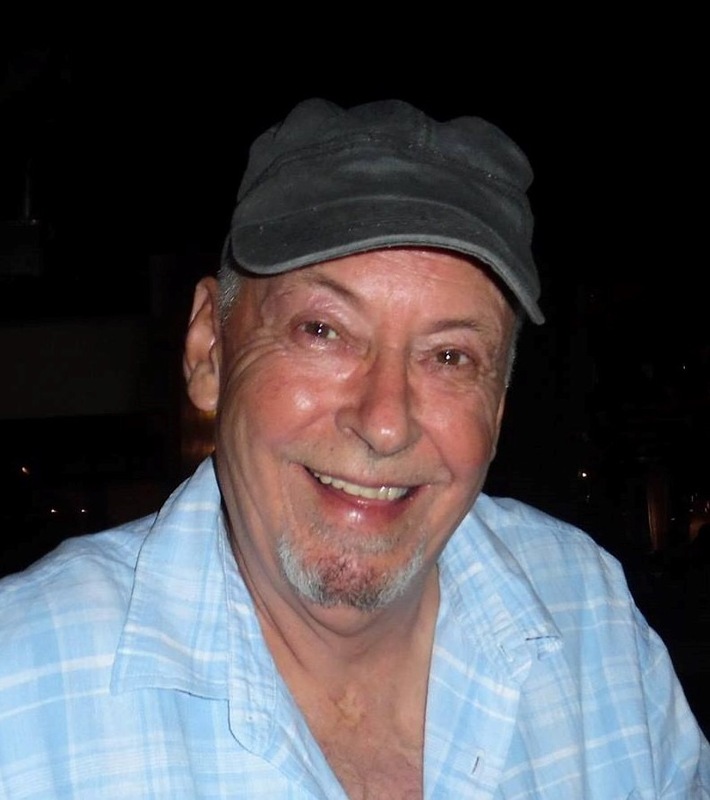 Stephen Bentley is an expat from the UK now living in the Philippines. He is a former barrister (trial attorney) and detective but now writes and is a HuffPost UK blogger. 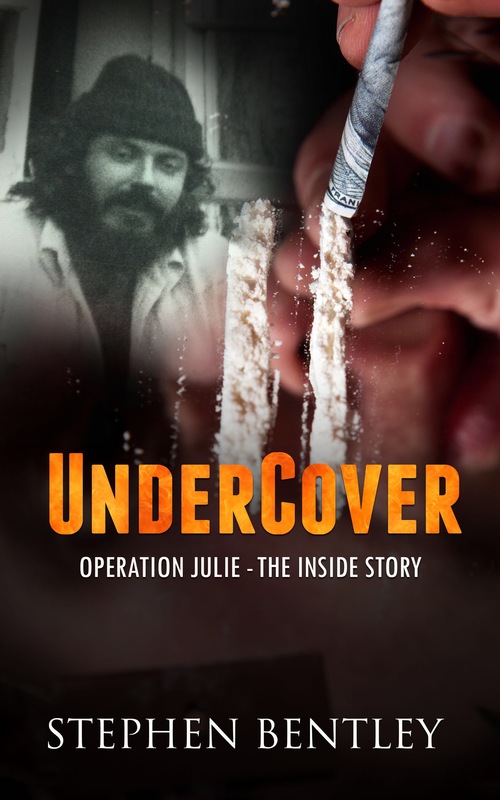 His memoir ‘Undercover: Operation Julie – The Inside Story’ is a frank account of his undercover detective experiences during Operation Julie – an elite group of detectives who successfully investigated one of the world’s largest drugs rings. When he isn’t writing, Stephen follows the (mis)fortunes of Liverpool Football Club from afar and relaxes on the beaches of the Philippines with his family. Stephen is currently working on three books. He is writing his first novel. It is based on his real life undercover cop days. A sequel to his memoir is expected later in 2017. He is also writing a book about his paternal grandfather, a rating in the British Royal Navy. Able Seaman Frederick Bentley joined the Navy as a “boy sailor” in 1916 at the age of 17. He was on the Prince of Wales in 1941 when that ship was sunk by the Japanese in the South China Sea. His grandfather survived and remained in the Navy until 1945. 1. You went deep undercover at 29 years old to infiltrate a large LSD ring. It turned into one of the largest LSD busts ever. How long were you on the force before you went deep undercover? I had been on the force for 10 years and a detective for almost all of that time, except for my first 2 years mandatory uniform probationary period and a short time when I transferred from one force to another. 2. You and the other 2 deep undercover cops had no formal training in undercover work. Do you feel it was easier to assimilate into the drug culture because of the timing? As you said, it had never been done in such a manner before. I wouldn’t say it was “easier” or more difficult, timing or otherwise. I simply played a part and fortunately fitted in well. 3. Did you forget your true identity at times? Similar to Stockholm syndrome. Often. I suffered terrible identity conflicts not just while undercover but also in the aftermath. I believe there are similarities to Stockholm Syndrome but I have recently learned that it was more likely than not I was suffering from Dual Identity Disorder. The trouble was, back in the day, no one had heard of DID! 4. This was your life Stephen. You made friends, Smiles in particular. He said he had no hard feelings against you after the fact. Did this cause more guilt than you already felt? It did. I was close to tears when he hugged me in the jail cell and uttered those words. I am not exaggerating when I say he felt like a brother to me. 5. On one hand you wanted to stay in and continue. On the other hand, you had already done so much damage to your personal life. In hindsight do you feel it was best it ended when it did? In hindsight, yes. That’s because I didn’t then realize or know how much harm had been caused. By harm, I mean psychological harm. 6. How long after Operation Julie did you receive a promotion? How do you feel the department could have recognized your efforts better? I was promoted to Detective Sergeant about 12 months after Operation Julie. The force could have, and I don’t understand to this day why they didn’t, awarded me a Chief’s Commendation. 7. You were left feeling more could have been done. You felt you could have gotten into the cocaine cartels. How much longer do you think you could have reasonably held your cover if that was an option? I’m asking because of the personal price you paid after the incredibly successful Operation Julie. Good question, I could have remained undercover for years and part of me wanted just that. Especially after we, my undercover partner and I, had made the ‘connection’ with the Canadian gangster importing huge quantities of pure Bolivian cocaine into Britain via Miami. That connection was handed over to your DEA so we could concentrate on the LSD network. In reading my answer, I ask all to remember that at the time I had no idea how this work was adversely affecting me. 8. It’s a fact that whenever a hole is left, someone will fill it in the crime world. Did your supervisors in the department understand that at the time? No. They didn’t care. Or, if I am feeling magnanimous, they didn’t have the foresight to think about it. 9. The operation ended when the mission was complete. IS it possible, without your knowledge, other cops continued where you left off? All things are possible especially in the world of spooks and undercover agents. Yet, from what I know, I seriously doubt it. Caveat! There was a lot I wasn’t aware of. For example, it is only recently I discovered that there were highly secret groups of undercover cops based in London in the 1970’s and since. They stole the identities of dead children and fathered children with women they consorted with, all in furtherance of the back story (cover). That scandal is now subject of a UK Government public inquiry – the Undercover Policing Inquiry (UCPI) led by a senior judge. I am happy to report that the legal team have requested copies of my book to read. 10. The personal toll this took on you was never addressed by the department. Times were different then. Is that your perception? Many officers retired or quit. Did this cause British police supervisors to take notice? It was never addressed in my case. And yes, times were different. Quite a contrast to what now happens with former British undercover officers receiving six-figure compensation payoffs for Post-Traumatic Stress Disorder. British police supervisors were indifferent. It’s a British thing! The British police finds elitism an anathema. It’s also very British to place someone on a pedestal then vilify the same individual. It often happens in public life or with celebrities. 11. You did stay with the department for a while but never found anything that fulfilled you after Operation Julie, so you left. With the knowledge we have now about the true physical effects of substance abuse, do feel it would have been easier to rebuild your life if you had been offered assistance by the department before you were allowed to leave? A resounding ‘yes’ to that. I should have received professional counselling and assessed for fitness for duty. If deemed unfit, then I should have received a medical pension paid out immediately, instead of the paltry standard pension that I had to wait some nearly 30 years for before I could draw it. After all, I left when I was on sick leave diagnosed with clinical depression. I still do not understand why that was permitted to happen. 12. When authors write and publish books, they’re sharing some part of themselves. You actually shared your life with the help of daily telephone reports. How hard was it to relive those times and then share them? It wasn’t hard to get them down on paper, initially. It became more difficult when confronting my own emotions. Eventually I overcame my reticence to “bare all” and shared my true feelings with my readers. 13. Was there a lot that you had forgotten when you read over the reports? No, not a great deal. Only a few snippets here and there but I would have had difficulty of recall without the use of those reports. Eric, my undercover partner, also filled in some gaps in my memory with events that were not documented in the reports. 14. How difficult was it to put everything that happened back then down on paper? It flowed surprisingly easily. The emotional parts were the difficult bits. 15. Did you enjoy writing the book? Immensely! I found it to be a cathartic experience. 16. Would you have gone deep undercover again if you had the chance before you left the department? Yes! I was young and I loved the adrenaline and challenge of deep undercover work. And, as I have already said, I liked my alter ego. When one is young, danger is a drug! At least it was for me. 17. How long did you remain in a supervisory position? About 2 years before I left the police service. 18. You had trouble finding the next step in your life’s journey before becoming a barrister aka a lawyer. Did you find that career as satisfying as your days as a cop? No! It had its moments of satisfaction. But nothing to compare with my days as a cop. Essentially, I like to help people. That may seem strange to some who have never been a cop. Rarely did I have chance to truly help anyone as a trial lawyer except on one occasion when I mitigated to a judge about to pass sentence on my client. She was the mother of two beautiful teenage girls who, as a family unit, had escaped the terrors of Mugabe’s Zimbabwe after her husband had been killed in front of her by Mugabe’s hit men. She was to be sentenced for immigration fraud and would in most circumstances have gone to prison. The judge in his wisdom, agreed with my mitigation and sentenced her to a term of imprisonment resulting in her immediate release. My sequel to my life story will no doubt include that story and many others. A portion of all my book sales royalties are to be donated to the Jamie Bulger Memorial Trust, a UK Registered Charity. Please consider donating even if you never buy my books. This is a book about a cop! A man who found his calling in fighting crime. A true encounter of life in the late 1970’s when undercover cops didn’t exist. This is a ground breaking story which the reader should keep in mind. LSD was big then. A plan was hatched for the first time to infiltrate and end this in the U.K. Many were involved in this undertaking. 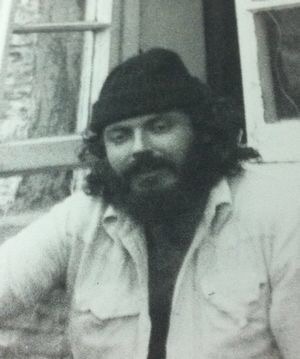 Stephen Bentley was 1 of 3 deep undercover cops. They lived the life. This is detailed reenactment based on memory and daily reports made at the time. It was very successful which you will find out about. The groundbreaking continued after the fact. Stephen Bentley did get promoted. Some acknowledged the awesome undertaking. But that was the end. Most of these men were shell’s of themselves. No one helped them recover. Some suffered for the rest of their lives. Addiction is not the worst part. Heartache. The undying belief that more could have been accomplished. This book will open your eyes to what lies behind being a cop. The broken soul left behind. Even when the person moves on. Page turner. I didn’t want to put this down. Suspenseful. Suicide or murder? Dysfunctional family. Odd neighbors. A life depends on solving an involved puzzle that the deceased designed specifically for his cousin. Are they cousins? What is the reason for this involved puzzle? You will not believe the twists and turns. Original plot. Characters are so well developed you feel you know them personally. This book is suspenseful and entertaining. You will encounter some real characters. What is the Urban Legion? They are good guys of the 21st century. Entrepreneurs in some ways. Fighting for what they believe in(or desire). Things are different now a days. Secrets must be kept. Why? From who? Hard to say. We are a demand driven nation. How much would life change If demand for things you never gave a second thought too changed. Perhaps there is a way to enhance your desire to shop. Why stop at that? Who knows the limits. Things are happening out there. Secretly. There are two opposing forces. The corporation in control of this technology will fight for what they believe in(or desire). Right vs wrong. Good vs evil. Chase scenes beyond imagination. Humor. Incredible characters. This is a fun read!